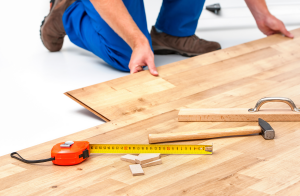 Home renovations can make your home look great, but they are often very costly. Even if you have budget-conscious plans on how to remodel and spruce up your home, frequently contractors take longer and charge more than you expected, and by the time the project is complete, you spent far more money than you intended. Using an excellent contractor like Alair Homes who specialize in major renovations in Scarborough is a great way to have full transparency. Here are some tips to renovate you home and actually save money while doing it. Your home renovation should accomplish what you want aesthetically, but consider the savings you might generate as well. If you’re hoping to repaint shutters, replace cracked glass window panes, and find some great new window treatments, perhaps it’s sensible to replace your windows altogether. Despite the upfront cost, brand new windows with state of the art sealants will be less drafty, and over time your heating bills could go down dramatically. When fixing up your back deck, consider asking your contractor to help build out a screened-in porch with a ceiling fan that will allow for a cool summer breeze at your home without the massive costs of air conditioning. Small touches like these will allow you to save on your utilities bills and make your renovation truly worthwhile. You might also consider tackling each project one at a time. As you go through each project you won’t have to spend all of your budget. This way you can save and potentially make more money while working on one renovation project. Once you are done with one project, move on to the next as long as you have enough funds to do so. Try not to get carried away by the amazing options your contractor presents. While marble countertops, shiny kitchen appliances, and hardwood floors may seen beautiful and attainable, be more conservative in selecting materials and options and you will be pleased with your freshened up new home without breaking the bank. Your contractor will be able to assist you in choosing more modest options for counters, cabinetry, and hardware. Instead of fancy doorknobs and handles you’ll never care about again, go for a more basic choice. Be selective in the areas of your home where you’d really love those hardwoods, and pick a simple linoleum tile for the bathroom or closet. These thrifty choices will make your renovation cheaper, and you’ll still be thrilled with your home in the end. Everyone would love to knock down walls, redo their kitchens, and create the palace of their fantasies. When it’s not a reality, get crafty to make your home renovation budget-friendly. Perhaps the kitchen really needs fresh paint on the cabinetry and a new oven, but you can sew your own curtains and buy a perfectly good toaster on eBay. Maybe the living room floors have seen better days, but instead of ripping them up and investing in expensive hardwoods or wall to wall carpeting, a fabulous crocheted area rug would do the trick. You may be settling in the near term, but the costs will go down dramatically and you will be able to turn your renovation dreams into a reality. Home renovation isn’t easy and it certainly isn’t cheap. However, if you do your homework and consider the ideas listed above, you won’t have to break your wallet. These tips as you embark on your home renovation project alongside your contractor, and you’ll realize how easy it is to keep your budget in check, save money in your renovation process, and love the final result.